Economic and trade ties between China and Japan are expected to get a boost after the ups and downs of recent years as Chinese Premier Li Keqiang has arrived in Tokyo for an official visit. The two economies are highly complementary, with bilateral ties showing momentum for improvement, said the premier, who is also in Japan for the 7th China-Japan-South Korea leaders' meeting. -- China is Japan's second-largest trade partner, while Japan is among China's top five largest partners. Statistics from China's Ministry of Commerce showed that in 2017, bilateral goods trade rose 9.9 percent to 297.28 billion U.S. dollars, reversing a downward trend since 2012. 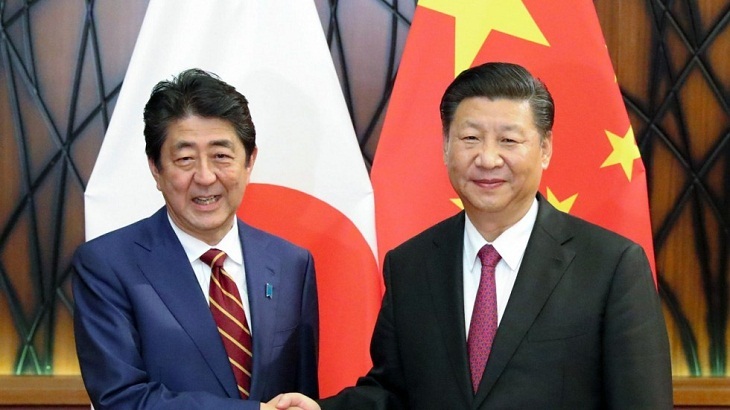 -- Chinese exports to Japan increased 5 percent to 164.42 billion dollars in 2017, while imports from Japan grew at a faster rate of 16.7 percent to 132.86 billion dollars, resulting in a smaller surplus of 31.57 billion dollars, down 26.1 percent from the 2016 level. -- In the first quarter of 2018, bilateral trade between the two countries rose 10.1 percent year on year to 76.4 billion dollars, with the China-Japan trade surplus down 14.9 percent to 8.31 billion dollars. -- Major Japanese export items to China include electric-mechanical products, chemical products and transportation equipment, while China mostly exports electric-mechanical products, textiles, furniture and toys to Japan. -- Japan's direct investment to China totaled 3.27 billion dollars in 2017, up from 3.11 billion dollars in 2016. -- Tourists from China's mainland made more than 7.3 million trips to Japan in 2017, up 15 percent from 2016. They contributed 38.4 percent of the total tourist spending in Japan, the highest among all countries and regions. more than 1.52 million units last year, while Honda sold more than 1.44 million cars, up 15.5 percent year on year. -- The two countries, together with the Republic of Korea, are working on establishing a trilateral free trade zone, as well as negotiations on the Regional Comprehensive Economic Partnership, to strengthen regional development and facilitate free trade.